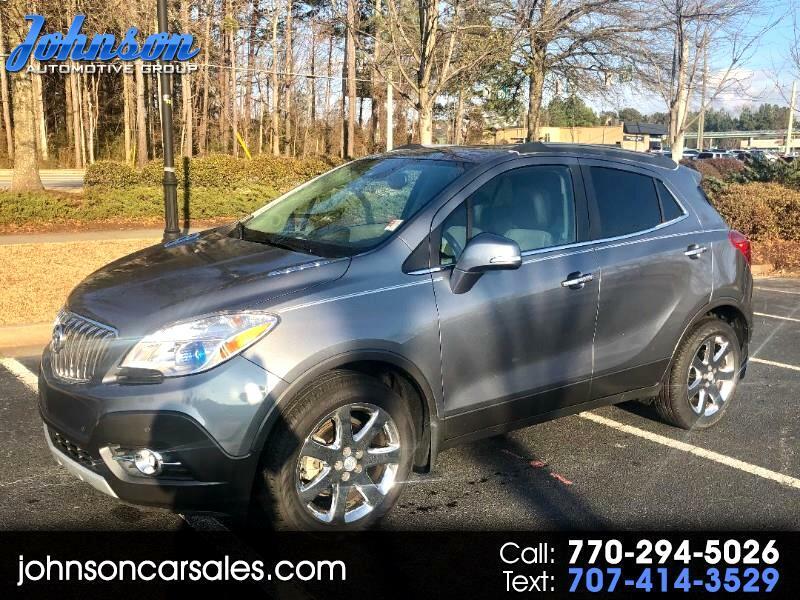 Used 2014 Buick Encore Premium FWD for Sale in Duluth GA 30097 Johnson Automotive Group, Inc.
Clean Carfax with no accidents! Fully loaded with leather interior, heated seats, heated steering wheel, power sliding sunroof, navigation, back up camera, power lift gate, hands free wireless, bluetooth, steering wheel controls, early lane departure, parking sensors, Bose surround system, voice activated controls, multi function display, extra keys, and much more. If you have any questions please contact us at 770-294-5026.